Mobile version of my website is still in the works. For an optimal experience please view it on a computer. I am a 23-year-old Dutch strategic product design student & freelance designer. Besides design, I have a great passion for technology, photography and coffee. I love doing work that fascinates me, which is finding solutions to problems with a great user centered approach. My interests are very broad. That is why I have evolved myself as being more than just a designer. I am a designer, developer, strategist and entrepreneur. I look at users and gain insights into the problems they experience. From that I come up with solutions to those problems. I have a variety of developing skills. Building a website, making an app, hacking together a prototype. I can do it all. Businesses rely on having a good strategy. Having a more creative and user-centered approach I can discover unique promising strategic directions. Interested in the projects I've worked on? See a selection of some the work that I have done below. Note: This site is still under active development, projects details will all be added in the coming weeks. If you want to learn more already, please get in touch with me. Design the ‘concept car’ for Luxexcel’s transparant 3D printing service. Create something which shows the unique perceived benefits of Luxexcel’s technology. The possibilities of what you are allowed to create are endless, only limited by the properties and qualities of Luxexcel’s technology. After an extensive research phase I decided to start developing a virtual reality (VR) headset. The reasons being my personal interest in upcoming new technological products and wanting to learn more about VR. Since virtual reality was still very new and small at the time of the project but the predictions were that this market was to grow very rapidly in the upcoming years it was also a good investment to gain knowledge about it. 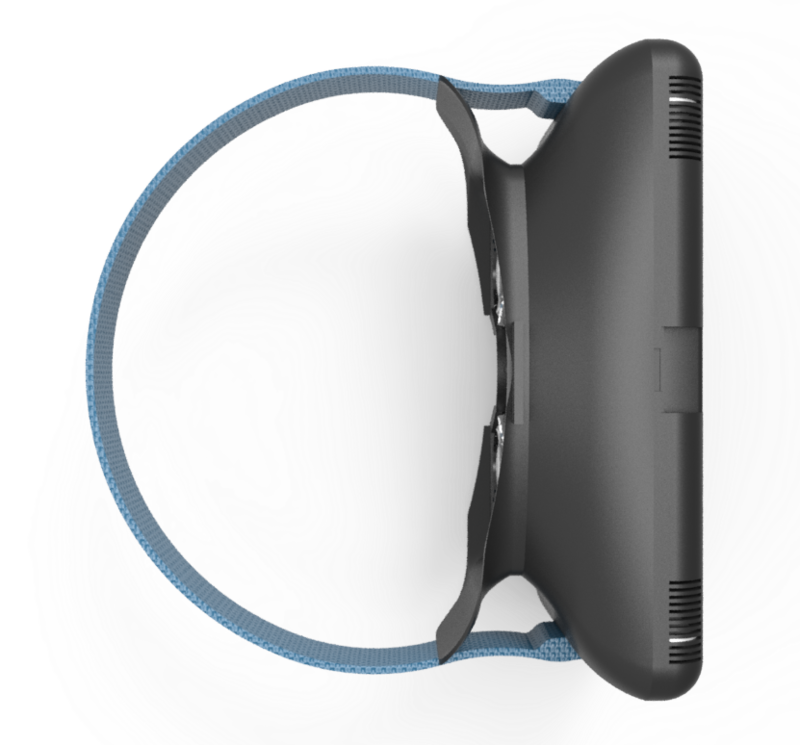 Since a lot of industrial designers will be needed in developing virtual as well as physical VR related applications or products. Also the fact that virtual reality headsets rely on the usage of optical lenses this product group was also very interesting for Luxexcel’s technology. 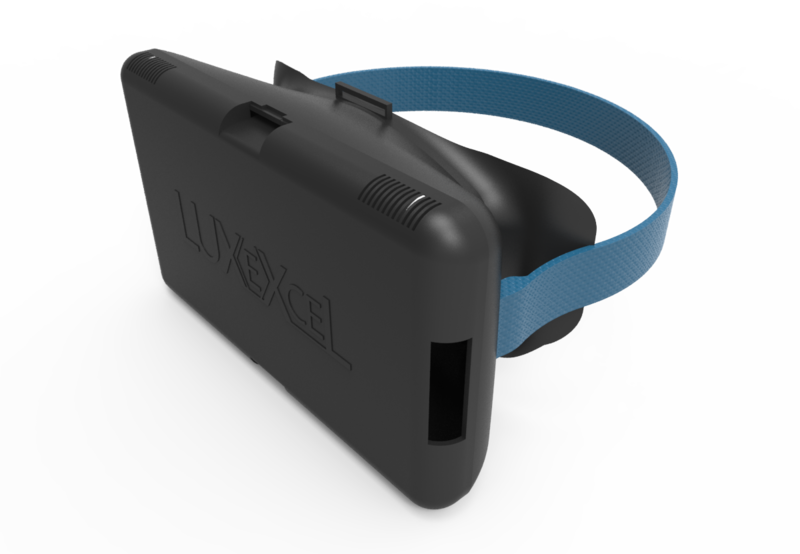 The final product I developed for this project was the Luxexcel VR, a smartphone based VR headset. (similar to Google Cardboard and Samsung’s Gear VR) By making use of Luxexcel’s transparent 3D printing technology for making the lenses in this product a lot of advantages over competing products can be created. The 3D printing offers the ability to have prescription lenses, which relieves people wearing glasses because they don’t have to wear the glasses underneath the headset. Another benefit is that the shape of the lenses can be printed to the shape of your facial contour, this would allow for the lenses to be placed closer to your eyes thus creating a bigger field of view of the virtual world. 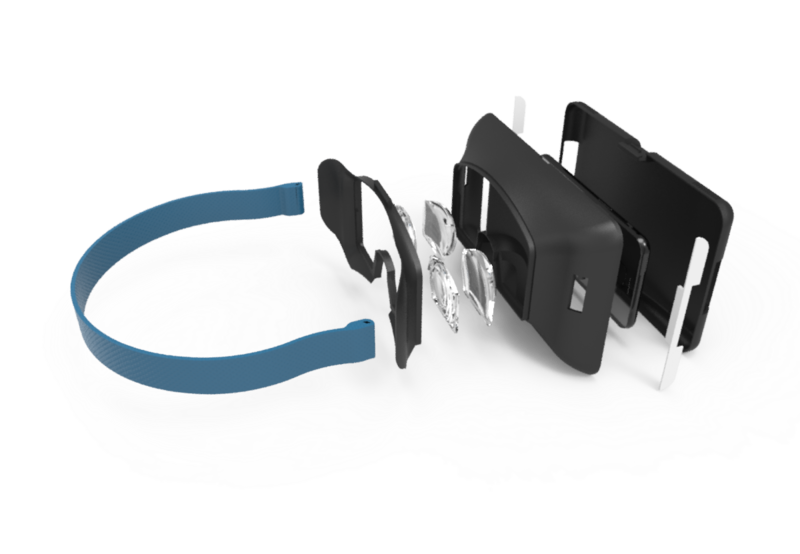 Also because this headset works with a smartphone the lenses can be printed in the optimal configuration for your specific smartphone screen. Want to get in touch? Reach out to me! Based in Delft. Feel free to visit me when you're there. Need to reach me quickly? Give me a call. Need to reach me? Send me an email, I'll respond ASAP.